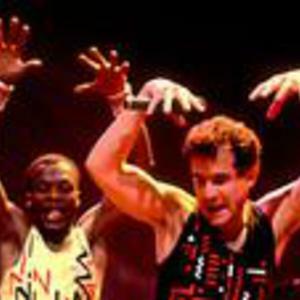 Johnny Clegg's second crossover band Savuka takes its name from the Zulu word for "We have risen". Savuka, like Clegg's first band Juluka before it, mixes African music with Celtic folk music and international rock sounds. They recorded four albums: Third World Child (1987), Shadow Man (1988), Cruel, Crazy, Beautiful World (1989) and Heat, Dust & Dreams (1993). The last album was nominated for a US Grammy Award for the best world music album in 1993. In the United States, songs performed by Johnny Clegg have appeared in three well-known feature films: Scatterlings of Africa in Rain Man, Dela in George of the Jungle, and Life Is a Magic Thing in the animated film Ferngully.